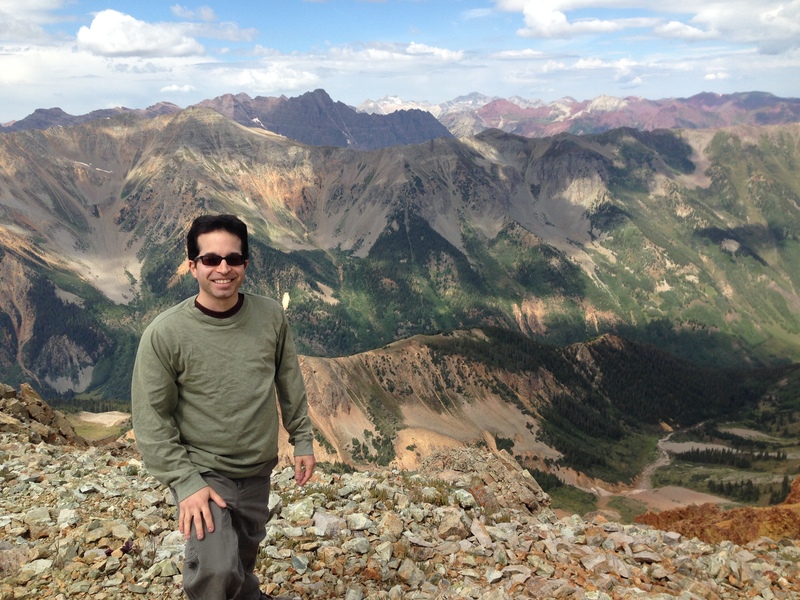 I just returned from a summer workshop at the Aspen Center for Physics, and I enjoyed it quite a bit! The official title of our workshop is “The Galaxy-Halo Connection Across Cosmic Time.” It was organized by Risa Wechsler (Stanford) and Frank van den Bosch (Yale) and others who unfortunately weren’t able to attend (Andreas Berlind, Jeremy Tinker, and Andrew Zentner). The workshop itself was very well attended by researchers and faculty from a geographically diverse range of institutions, but since it was relatively late in the summer, a few people couldn’t come because of teaching duties. 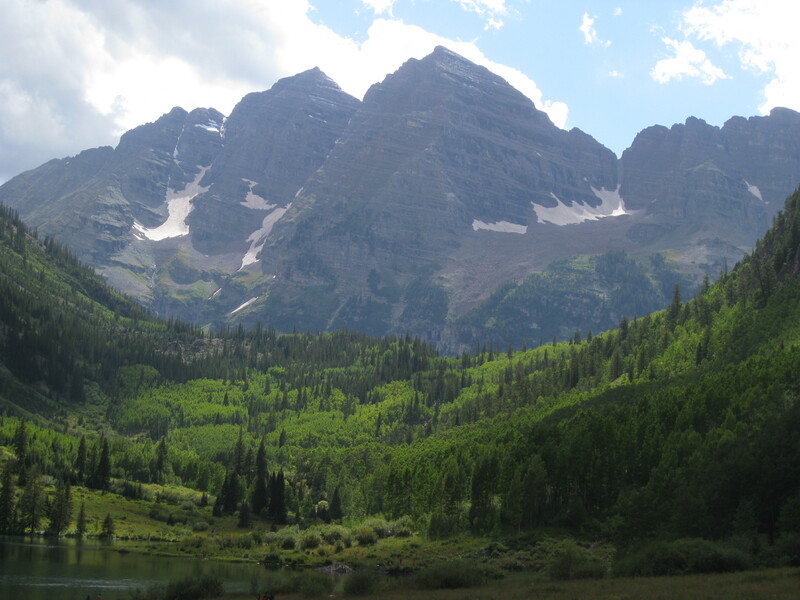 Since I grew up in Colorado, I have to add that Aspen is fine and I understand why it’s popular, but there are many beautiful mountain towns in the Colorado Rockies. Visitors and businesses should spread the love to other places too, like Glenwood Springs, Durango, Leadville, Estes Park, etc… In any case, when we had time off, it was fun to go hiking and biking in the area. 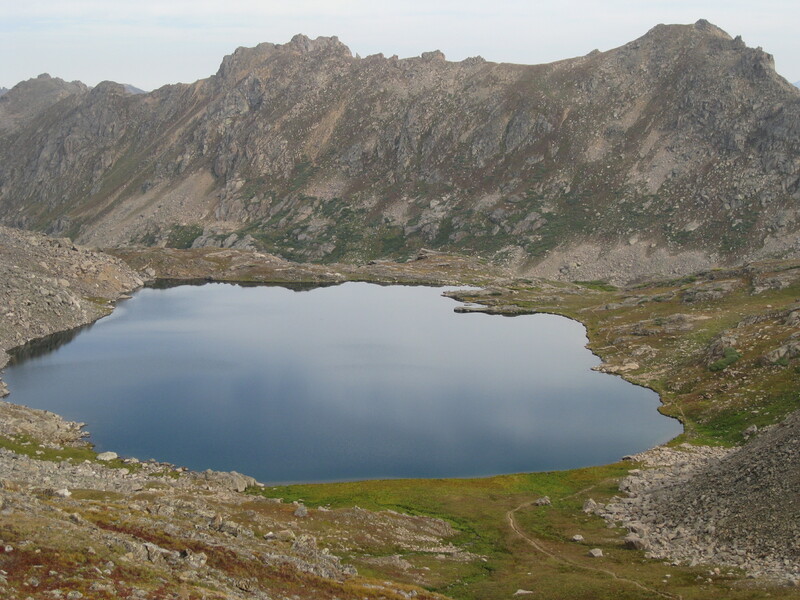 For example, I took the following photo after hiking to the top of Electric Peak (elev. 13635 ft., 4155 m), and lower down I’ve included photos of Lost Man Lake (near the continental divide) and the iconic Maroon Bells. 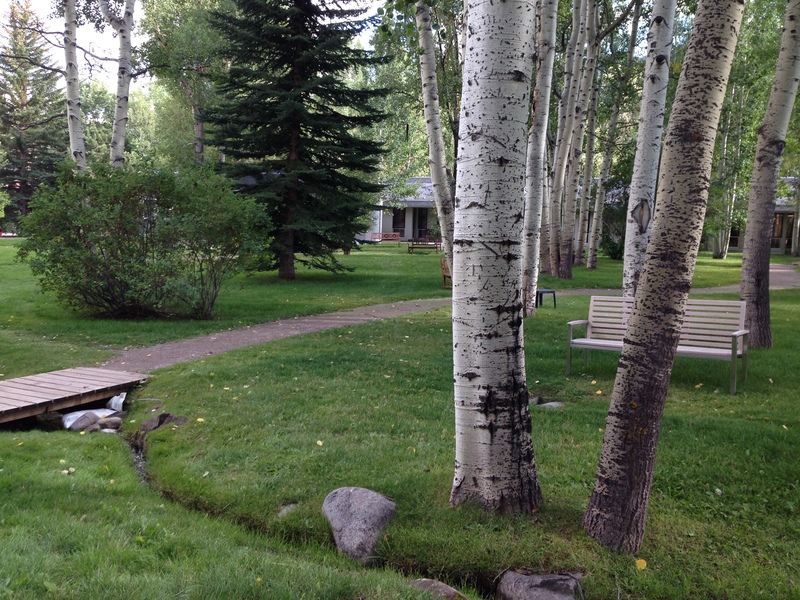 The Aspen Center for Physics (ACP) is a great place for working and collaborating with colleagues. As they say on their website, “Set in a friendly, small town of inspiring landscapes, the Center is conducive to deep thinking with few distractions, rules or demands.” As usual, we had a very flexible schedule that allowed for plenty of conversations and discussions outdoors or in our temporary offices. Weather permitting, we had lunch and some meetings outside, and we had many social events too, including lemonade and cookies on Mondays and weekly barbecues. It’s also family-friendly, and many physicists brought their spouses and kids to Aspen too. I’ve attended one ACP summer workshop on a similar theme (“Modeling Galaxy Clustering”) in June 2007, and it too was both fun and productive. Note that the ACP workshop is very different than the Madrid workshop I attended earlier this summer, which had specific goals we were working toward (and I’ll give an update about it later). While some of these issues have plagued us for years and remain unresolved, there are some subtle issues that have cropped up more recently. 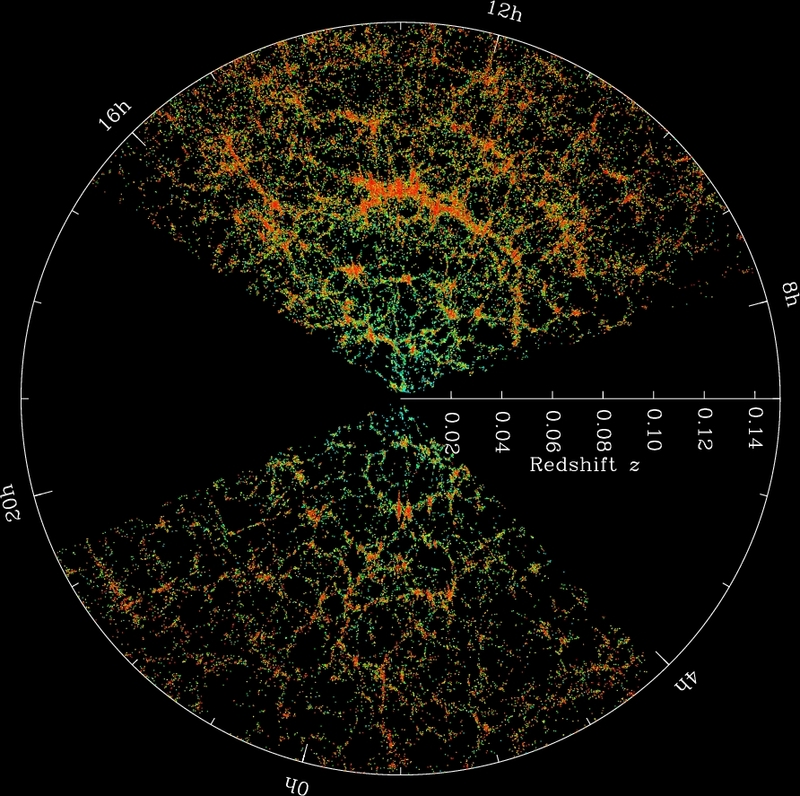 We (including me) have successfully modeled the spatial distribution of galaxies in the “local” universe, but now we are trying to distinguish between seemingly inconsistent but similarly successful models. 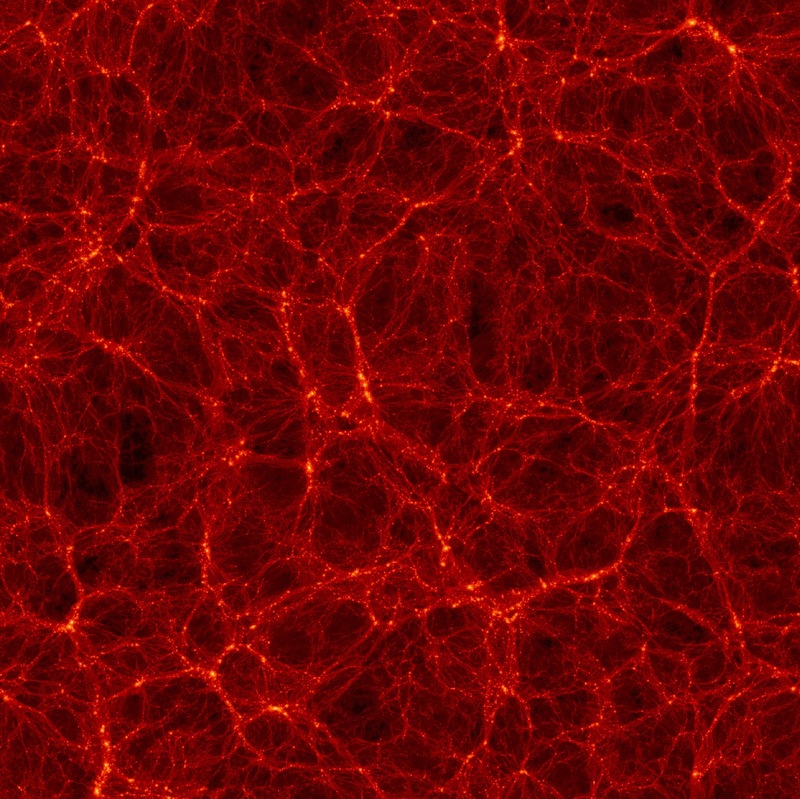 For example, we know that the distribution of dark matter haloes in numerical simulations depends on the mass of the haloes—bigger and more massive systems tend to form in denser environments—as well as on their assembly history (such as their formation time), but these correlations can be quantified in different ways and it’s not clear whether there is a preferred way to associate galaxies with haloes as a function of these properties. For the galaxies themselves, we want to understand why some of them have particular brightnesses, colors, masses, gas contents, star formation rates, and structures and whether they can be explained with particular kinds of dark matter halo models. The main purpose of these workshops is to facilitate collaborations and inspire new ideas about (astro)physical issues, and it looks like we accomplished that. The previous workshop I attended helped me to finish a paper on analyzing the observed spatial distribution of red and blue galaxies with dark matter halo models (arXiv:0805.0310), and I’m sure that my current projects are already benefiting from this summer’s workshop. We seem to be gradually learning more about the relations between galaxy formation and dark matter, and my colleagues and I will have new questions to ask the next time we return to the Rockies.